It is likely that you’ve heard a lot of words thrown around within the marijuana community and you must have heard ‘endocannabinoid system’ at least a few times. So, then what is this long and complicated word? Its meaning to cannabis, the human body, and the modern medical world is important. And if you want to be a cannabis enthusiast, knowing the story behind the endocannabinoid system is valuable. Endo, meaning ‘within’, and cannabinoid meaning – uhh, cannabinoid – together make up the system of cannabinoids that already lives within the human body. Yes, that’s right! Whether you use cannabis or not, there are cannabinoids being produced in your body every day, and they contribute to one of the most important systems in the body. This knowledge brings us even closer to understanding how marijuana acts as a medicine in the human body and why it is so effective. The ECS refers to a system of cell receptors and corresponding molecules that are located all over the body. In this way, the ECS is not really ‘located’ the way an organ is. The endocannabinoid system has its effects all over the body, and even into other systems such as the nervous system. Each cannabinoid receptor has a specific shape and a corresponding cannabinoid that fits perfectly, a little bit like a key. So far, modern science has discovered two cannabinoid receptors in the human body; CB receptor 1 and CB receptor 2. When cannabinoids (whether they come from inside the body or externally) bind to cannabinoid receptors, a series of events are triggered that effect things such as pain sensation, mood and appetite. We still don’t know the exact chain of events that takes place after a cannabinoid binds to a receptor, but as modern research continues our knowledge keeps growing. It is likely there are even more cannabinoid receptors that we have not found yet, and the same is true of endocannabinoids. We have only discovered a handful thus far, the most important being anandamide. Anandamide gets its name from the Skanskrit word, ananda, meaning ‘bliss’. Some people even refer to this cannabinoid as ‘the bliss molecule’. Interestingly enough, anadamide eerily resembles THC, the active cannabinoid in marijuana that provides us with the ‘high’ that we love so much. When anandamide is produced by the body and binds to cannabinoid receptors, it gives a feeling of euphoria, bliss, happiness or wellbeing. The main location of CB1 receptors are in the brain and the nervous system. They can also be found in certain organs, such as the kidneys, lungs, and reproductive parts. It is said that when a cannabinoid binds to this receptor, this is what induces the sensation of being high within the user. When CB1 is triggered, it affects things such as mood, sleep, pain and memory. 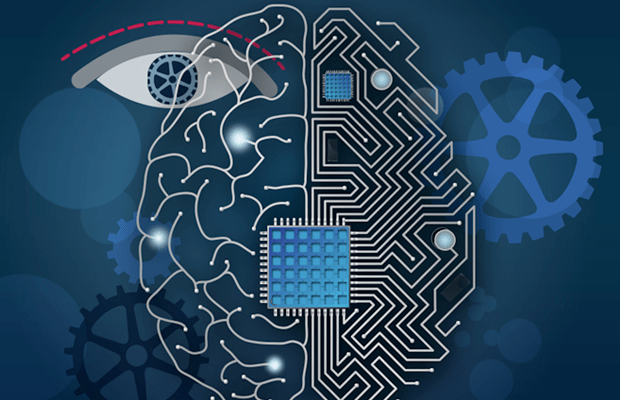 It is also responsible for communicating with parts of the brain responsible for motor regulation. One of the reasons that CBD has become popular in the last few years is because it has neuroprotective benefits. This is one of the events that is caused by the activation of the CB1 receptor. Some studies suggest that the activation of this receptor in the body can help protect a person against neurodegenerative disorders such as Multiple Sclerosis and Alzheimer’s. This receptor also has an effect on hunger sensations and appetite. Everybody knows what it feels like to get the munchies when stoned. Well, that is because the cannabinoids in marijuana are best friends with the CB1 receptor, aggravating the hunger and taste sensations. CB2 receptors can be found primarily in the immune system and other parts of the body that are connected to the immune system. The general effect when the CB2 receptor is activated is an anti-inflammatory response. This generally plays a medical role for those patients who have arthritis, for example: The anti-inflammation effect reduces the damage to tissues and reduces the pain. It can also help to resolve the problem because it can activate an anti-inflammatory response. The endocannabinoid system goes on creating cannabinoids and firing off neurons whether you smoke ganja or not. It is not necessary to ingest marijuana in order to activate the endocannabinoid system. In fact, whenever the body requires cannabinoids, it will create the necessary ones in order to trigger the receptors. The process is completely endogenous to the human body. The fact that the ECS communicates with almost all of other important systems of the body makes it particularly significant. The main role of the ECS is to regulate the human body and all of the systems within it. For this reason, the ECS is said to be responsible for homeostasis in the body, or the general balance and order of things. In essence, the endocannabinoid system is the system in place for restoring balance to a person. The discovery of the endocannabinoid system is almost as interesting as the endocannabinoid system itself. We actually would not have come to know about one of the most important systems of the human body if it weren’t for our research into marijuana. In the 1960s, an Israeli scientist named Raphael Mechoulam was given loads of hashish from the Israel government to conduct research. His main objective was to isolate some of the cannabinoids present in marijuana. Along with other scientists, Mechoulam was able to isolate both CBD and THC, in that order. Actually, there is a huge controversy surrounding who were the first people to isolate cannabinoids. Rumor has it that it was the American government way back in the early 1900s that isolated THC for the first time. Anyway, for the sake of the ECS, it doesn’t matter. It was Raphael Mechoulam who took the discovery of THC and CBD and turned it into one of the biggest medical discoveries of our time. Mechoulam happened to stumble across something very interesting after isolating THC, namely that it very closely resembled a molecule that was present in the body. Remember that ‘bliss molecule’ we were talking about earlier? Him and his posse also happened to notice that this THC-lookalike had much the same shape as THC. The conclusion was drawn that the human body contains some kind of its own endocannabinoid system. When we learned this, we learned that the human body contains a system that is one contained in just about any living vertebrate. It is mystical, wonderful and ironic that our study of marijuana led to one of the most important discoveries of the 20th century. 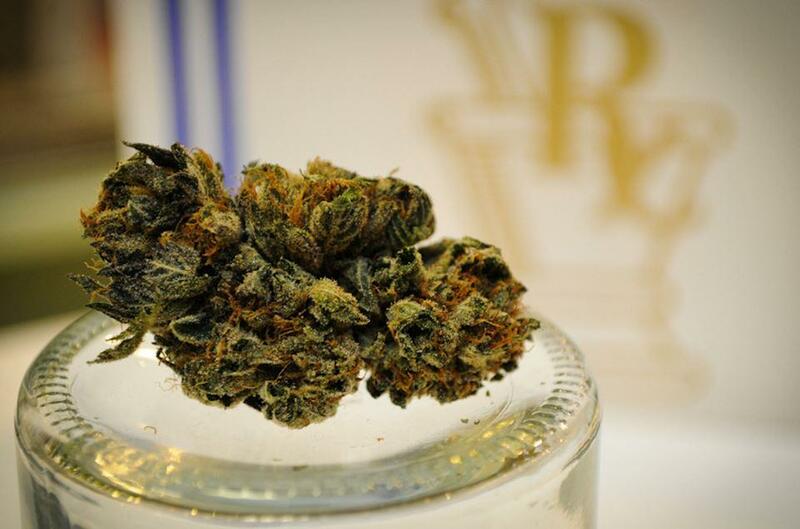 The discovery of THC had its consequential effects much further reaching than marijuana. In fact, it led to imperative information about the human body and its connection with the bigger ecosystem called planet Earth! The love of ganja essentially led to the discovery of the most important regulatory mechanism not just for the human, but the rest of nature, too. How does marijuana play a role? For reasons completely unknown to us, the shape of the molecules in cannabis fit perfectly into the cannabinoid receptors in our bodies. There are no chemicals in oranges, strawberries, avocados, or any other food we consume that does the same. For the simple reason that cannabinoids fit into our receptors, a whole range of neurological events take place that activate one of the most sophisticated healing functions in the whole universe. That’s to say, perhaps marijuana does not do anything in particular to heal the human body. The human body itself is the magical healing mechanism when it is switched on correctly. When the ECS is thrown out of balance, or for some reason is not activated properly, any condition associated with the effects of the ECS can take place. For example, irritable bowel syndrome is possibly caused by a disruption in the ECS. We do not even have any way of knowing if the ECS is out of balance other than the symptoms it shows us, like migraines or IBS. Maybe one of the reasons that marijuana has such powerful medicinal value is because it activates the part of the body that has switched off – rather than just attacking the symptoms. By restoring the body’s natural healing mechanisms, the body can actually undergo a natural healing process. Beyond working through the cannabinoid receptors to activate functions in other parts of the body, the ECS also works with certain enzymes in the body. In the natural regulation, it is the job of a certain enzyme (namely, FAAH) to chew up all of the anandamide in the body and take it out of circulation. This happens when the ECS is not in perfect working order. A lack of cannabinoids in the body can mean an increase in this enzyme. While THC behaves by looking and acting just like anandamide, CBD behaves in a totally different way. CBD works by adding more cannabinoids to your existing bag. It blocks the effect of enzyme FAAH, giving your cells greater access to anandamide. Hence, you have a mood lifter that isn’t psychoactive at all. This could also be a suggestion as to why CBD is not addictive. It is not really even bringing in an external cannabinoid. Its effects have more to do with allowing the body to better absorb its own cannabinoids. 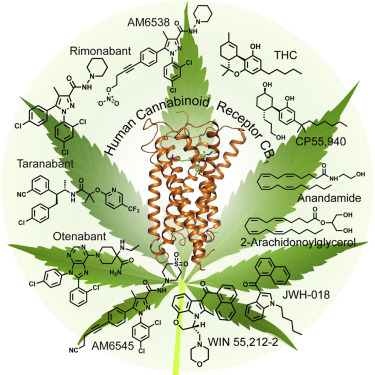 Where else do cannabinoids come from? When the body is not busy getting cannabinoids from the herb, where else is it getting cannabinoids? Although there is no other plant or food product which gives us direct access to external cannabinoids, we can encourage the production of our own with a healthy diet. Recent scientific enquiry into this has shown that there is a connection between diets low in fatty acid and poorly functioning endocannabinoid systems. This led to negative mood changes in the subjects. The science suggests that by having a diet high in omega-3 fatty acids, you can encourage a better functioning ECS. For what it’s worth, even Ayurvedic (the traditional Hindu system of medicine) philosophy recommends a diet high in fats if you are going to be using marijuana. That is because the compounds in marijuana bind to fats rather than being water soluble. The endocannabinoid system is arguably one of the most complex systems in the human body and our research is still really only child’s play. It is not just the regulatory system for humans, but it possibly connects us to what keeps nature at large in balance and at order. When you think about the implications of that, it is pretty enormous.